One out of three American adults is obese, and childhood obesity has more than doubled in the past 30 years. It’s an epidemic with very serious health risks, from heart disease to diabetes to cancer. It’s also taking an incredible financial toll: Studies have put the national healthcare cost of obesity at over $190 billion a year.Behind these staggering figures are measurement tools that the medical community uses to determine who is at risk. One of the most common is body mass index BMI. The problem is that BMI alone doesn’t tell the whole story.BMI is a mathematical equation — weight in pounds divided by height in inches squared, multiplied by 703 — to calculate an individual’s body fat. An adult with a BMI of 30 or higher, for instance, is considered obese. But because BMI is based on body weight rather than body composition, it doesn’t take into account how much of that weight is from muscle, bone or water as opposed to fat. 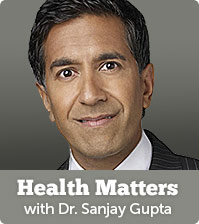 read more via What’s Wrong With BMI – Sanjay Gupta – Everyday Health.